Meehan and Jonker believe that only nonprofits that can demonstrate, through quantifiable measurement, their impact and capacity to maximize it, should—and will—thrive in the Impact Era. What’s more, their sense of urgency is palpable throughout the book. While none of the concepts they present are revolutionary, they have been reinvigorated and realigned for this moment. 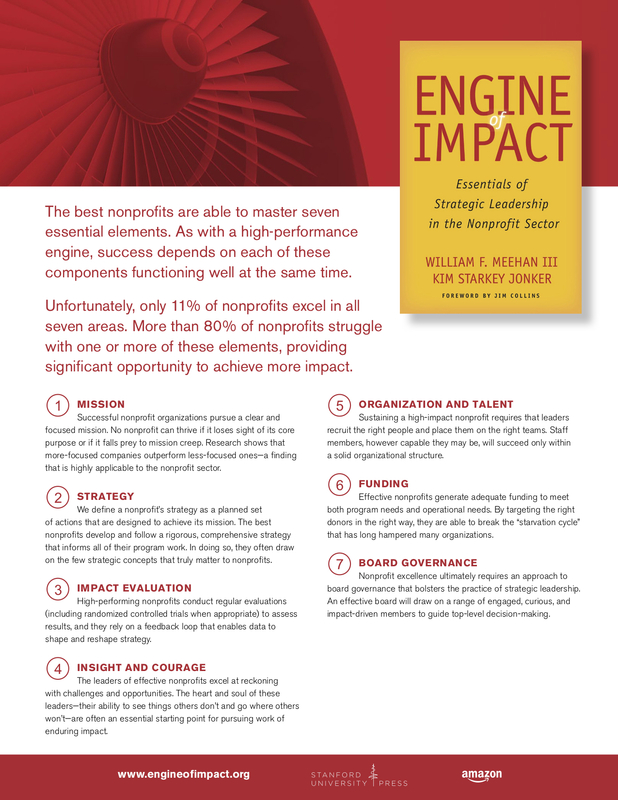 Which makes Engine of Impact an energizing, if sobering, read for nonprofit leaders, board members, and funders alike.